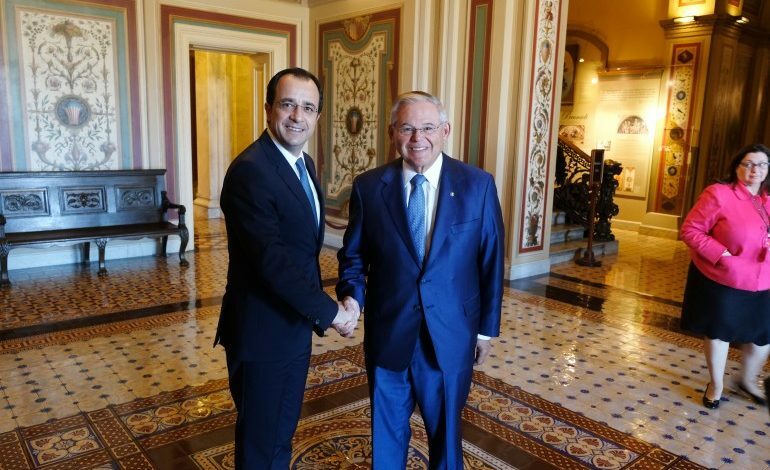 Foreign Minister, Nikos Christodoulides, has said that the US have recognised that trilateral cooperation schemes of Cyprus and Greece with other countries are reinforcing stability and security in the region. 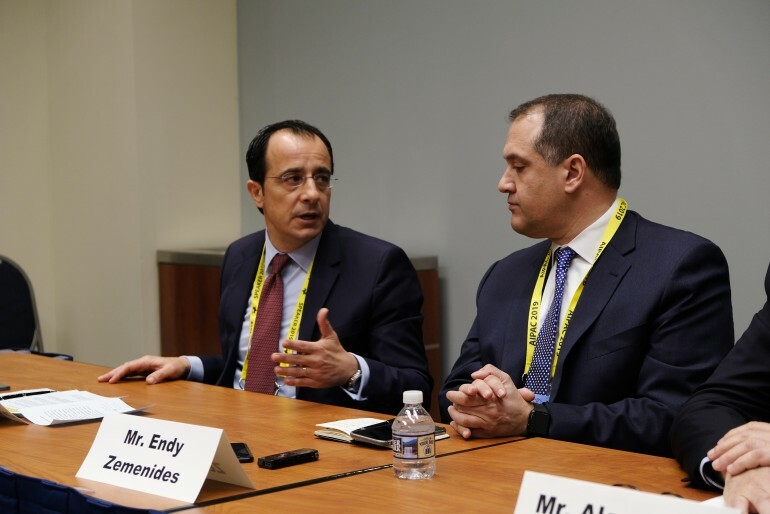 Speaking to journalists after wrapping up his meetings in the US, Christodoulides said that there are three important issues which come up from his contacts at the Congress, with the US administration and his participation at the AIPAC policy conference. 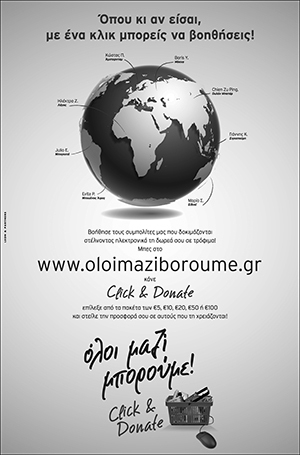 The first is the recognition of the regional cooperation developed in the region, through the trilateral cooperation schemes of Cyprus and Greece with Israel, Jordan and Egypt. All these trilateral cooperation schemes are recognized by the US as reinforcing stability and security in the region,” he noted. Responding to a question about the next day of the Trilateral Summit of Cyprus, Greece and Israel in Jerusalem, earlier this month, that was attended by the US Secretary of State Mike Pompeo, Christodoulides said that it has already been agreed that the Foreign Ministers of the four countries will discuss other issues apart from those concerning Energy and energy security, in which there can be cooperation among the four states. 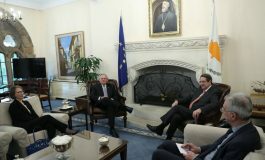 As regards the bilateral relations between Cyprus and the US, Christodouldies said that both sides want to further enhance their relations beginning from the implementation of the Statement of Intent that was signed in November. “There will be an exchange of actions and ideas during the coming days as to how to move on during the next period. Moreover we discussed about the need of arranging a high level meeting between the President of the Republic of Cyprus and the IS President,” he noted. 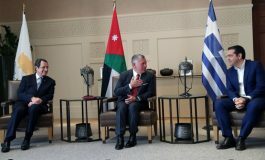 We also discussed about the agreement on the double taxation avoidance which encourages US investments to the Republic of Cyprus as well as the issue of the lifting of the US arms embargo on Cyprus, which cannot exist and does not reflect the level of relations between the US and the Republic of Cyprus, he added. 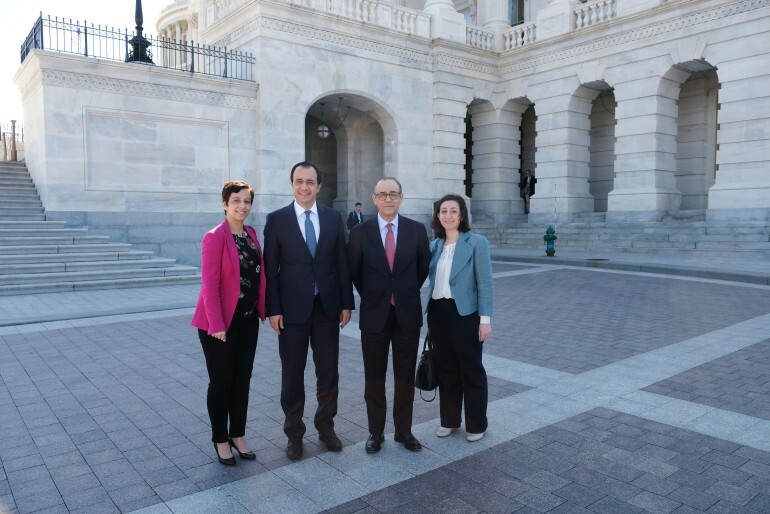 Christodoulides said that the third item on the agenda was the Cyprus problem, given the developments in the region and Turkey`s role, during a period in which the relations between the US and Turkey are not at the best possible level. 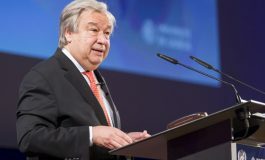 “We conveyed the message about the need for the negotiations to resume from the point they were left in Crans Montana, and we are happy that the US have the same views about this need,” he noted. Cyprus’ Minister of Foreign Affairs Nikos Christodoulides concluded his three-day visit to Washington having discussed matters such as the arms embargo against Cyprus implemented by the US since 1987, security and energy matters and the Cyprus problem in meetings with Senator Bob Menendez and Under Secretary of State for Political Affairs David Hale, with Menendez expressing the view that “we are getting ever closer” to lifting the arms embargo.